Mirabai Bush is a Senior Fellow of the Center for Contemplative Mind in Society and served as Executive Director until 2008. Under her direction, The Center introduced contemplative practices into education, law, business, environment leadership, philanthropy, the military, and social justice activism. 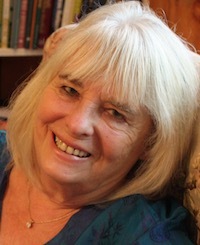 She has been teaching workshops and courses on contemplative practice in life and work for 45 years, integrating her experience in organizational management, teaching, and consulting. She co-developed the curriculum for Search Inside Yourself for Google, the first program in mindfulness-based emotional intelligence; it has been attended by thousands of Google employees. A founding board member of the Seva Foundation, an international public health organization, she directed the Seva Guatemala Project, supporting sustainable agriculture and integrated community development. She is co-author with Ram Dass of Walking Each Other Home: Conversations on Loving and Dying; and Compassion in Action: Setting Out on the Path of Service; co-author with Daniel Barbezat of Contemplative Practices in Higher Education: Powerful Methods to Transform Teaching and Learning; and editor of Contemplation Nation: How Ancient Practices Are Changing the Way We Live. She has been a board member of Lions Roar, Omega Institute, Seva Foundation, Military Fitness Institute, the Dalai Lama Fellows, and Love Serve Remember. She is an advisor to Mindful magazine and Mindful.org. Her spiritual studies include meditation in Bodh Gaya, India, with Shri S.N. Goenka and Anagarika Munindra; bhakti yoga with Neemkaroli Baba; and studies with Tibetan lamas Kalu Rinpoche, Chogyam Trungpa Rinpoche, Kyabje Gehlek Rinpoche, Tsoknyi Rinpoche, and others. She studied aikido with Kanai Sensei and has practiced Iyengar and Sivananda yoga. She lives in Western Massachusetts with her husband, EJ Lynch, has one son, Owen, a filmmaker, and a divine grand-daughter, Dahlia.